It’s simple math, according to old-school marketing “experts.” There are about 133 million housing units in the U.S., according to Placester. There are constantly buyers and sellers looking out for real estate companies like you. Grab a certain percentage of them, and you have a booming business. But real estate marketing experts don’t understand that the “law of averages” is not a marketing strategy. It’s just a math equation. If you want to increase the business your real estate agency gets from leads, you’re going to need a completely different way of thinking. Ever see the movie “Glengarry Glen Ross”? In the film, Jack Lemmon’s character spends half of his time whining about how his sales leads aren’t good enough to make a sale. Enter Alec Baldwin’s character, the real marketing expert, announcing to the entire office that the third place prize for the monthly sales contest is being fired. “The leads are weak,” complains Lemmon. If only he had more leads, his sales slump would be fixed. But real estate marketing is about more than acquiring lead after lead after lead. When leads come to you looking for a real estate deal, are they legitimate buyers or someone “just doing research”? Do most of your leads come through as clicks to your website, but never truly interact with your business or request more information? Do you have a “lead funnel” that guides leads into getting in touch with you, or are you simply “hoping for the best”? 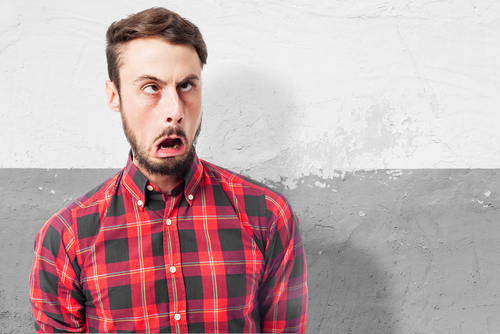 What most real estate marketing experts don’t get about leads is that they’re not all made the same. And even more confusing for these so-called experts: how you treat the leads is much more vital than you know. Did you know that about 96% of your web visitors come to your site not ready to buy? If you do enough volume, then great, that means 4% of your visitors are ready to buy. But if you don’t have a lot of people at your site, and no way to capture them as leads even if they are ready to buy, it will be like these customers never existed. Your web presence needs to be more than a simple online version of a business card. If you’ve been stuck in your ways—assuming that simply by putting your number on your website, that your potential leads will do all of the work and call you up—then you’ve been looking at lead generation the wrong way. Leads are not people who want to do a lot of work. Quality leads, instead, are people who are willing to buy from you—if they feel valued. Lead generation isn’t just about identifying as many of these people as possible, but making these leads feel like people who can spend some time at your site and be rewarded for their effort. In short, stop assuming the sale. If someone were to call you about your real estate work, you’d quickly figure out if they were a buyer and would begin your sales techniques. But failing to have a proper lead generation platform on your web presence is sort of like answering the phone and expecting the potential customer to talk themselves into the sale. It doesn’t work that way, offline or online. Did you know that about 80% of companies not meeting their revenue goals average 10,000 monthly visitors to their website—or less? Although there is a segment of the population that turns to old media in order to find the real estate companies they want to work with, more and more people simply turn to search engines in order to find what they need. This doesn’t mean that if you simply attract more clicks to your website, you’ll get more business, however. More clicks does not always translate into more business. What you need is not only a way to get more clicks, but to turn more of these clicks into legitimate business. This is lead management at its basic level. In short, you need a way to turn your web-based clicks into actual, legitimate leads who want to get in touch with you. Give people a reason to visit you. The reason you see more and more real estate marketing tactics include interactive online tools, like intelligent home search options (IDX) and mortgage calculators is that they give people a reason to visit them. This is a powerful tactic, of course, but it doesn’t guarantee that someone will turn into a lead. They might use your online tool and then run a new Google search without ever giving you any information. You could easily be doing something like this FOR YOURSELF and KEEPING your traffic and leads on your own website vs. sending them off to Zillow! The key is tying in a call-to-action along with a lead generation/engagement tool… otherwise, all you get is a bunch of clicks. Last time I checked, you can’t sell houses to clicks ☺. Give people a reason to trust you. If a click is going to turn into a lead, they have to feel like you’re a legitimate company and that you value your time. This means that much of your web presence has to reflect these two basic facts. You can do this with positive reviews, trust factor symbols, using secure pages, and not asking for sensitive information like contact information too soon in the data collection process. Outsource your conversion strategy to experts by hiring a Conversion as a Service (Caas) company. 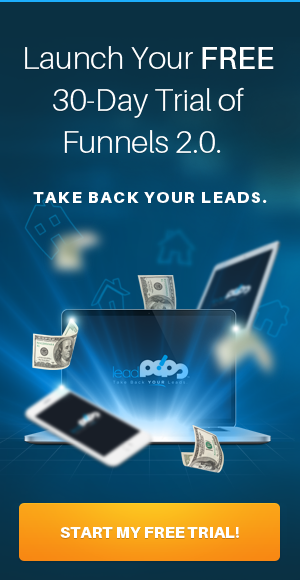 leadPops is the only CaaS platform serving the real estate, mortgage, and real estate industries, and this system works for a reason: it allows you to “outsource” much of your lead conversion challenges to a proven system that does much of the work for you. You don’t have to become a web expert or a marketing expert overnight in order to start generating quality, qualified leads. But you do have to know who to talk to. If you’re in the world of real estate and you hire an expert that creates an ill-defined plan for you with no real objectives or goals, move on. It’s as simple as that. Move on. After all, how can you tell whether or not you’re generating more leads if you can’t even define the terms for your own success? Fortunately, there are ways to measure your lead generation quickly and easily. This is especially true in the digital age, when the most common lead generation strategies include email marketing and content marketing. How do you know if you need to hire a new platform? If you’re doing SEO, email marketing, PPC, local SEO, direct mail, radio, television, signage—any of the new school or old school marketing tactics—then you know that you’re trying. If you aren’t seeing the results, however, then you know that you need to think about switching to something new. You also need something that will offer demonstrable lead generation success. 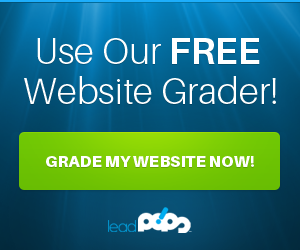 You can do that by trying out a free trial of leadPops to see what it really looks like when you generate top quality leads.